Every teacher has had one – the one class that you dread, the one where classroom management seems more important than instruction itself. Maybe there are one or two students who just really know how to push your buttons. Maybe it’s right after lunch and some days it seems like the whole room is teetering on the edge of chaos. 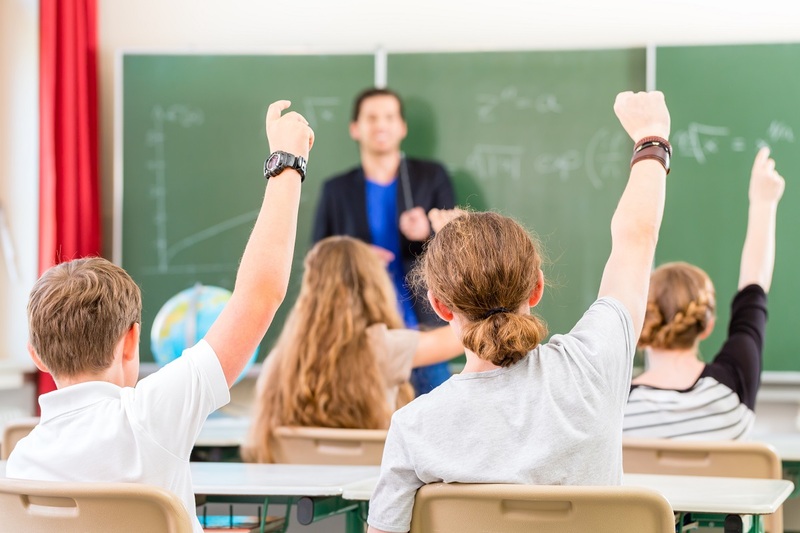 While it’s easy to write off these classes as bad hands you’ve been dealt, research has shown that teacher actions have a very significant influence on the behavior of students in the classroom. In fact, there are dozens of practices that have been proven to calm, refocus, and engage unruly classrooms. And, would you believe it, many of these techniques fall under the umbrella of positive education. Here are 4 proven, positive psychology practices for classroom management. Kindness and happiness are contagious. When you see a face smiling at you, it’s hard not to smile back. 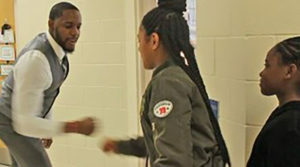 Greeting students at the door is a great way to jumpstart the spread of kindness and happiness in your classroom. In fact, saying hello to someone with a smile creates an involuntary joy response in his or her brain, making him or her want to smile back. Also, say their name. When we hear our own names it gives us a jolt of pleasure. This practice also has a few other subtle effects. It shows that students are now passing through a threshold into your space. You are welcoming them, one at a time, into a learning environment. This makes a huge difference when compared to letting students rush in as they continue their conversations from the hallway while you remain occupied doing something else. Show you care about them and what happens in your classroom. Don’t assume that your students automatically know how to act in your class. Every class is different and should be treated as such. One activity that I like to do at the start of the year, although you could do it at any time, is to collaboratively create a list of classroom norms. I ask for suggestions from students and we vote on four that resonate the most with us. Then I have students break up into teams to create posters that illustrate one particular norm. For example, on the poster for respect, students will write “one voice at a time” or “cherish your own abilities.” Then, throughout the year, I can reference these posters on the wall if needed. Because we all agreed on the norms together, the students have more buy-in when it comes time to enforce them. Behavior narration is an incredibly powerful tool. In essence, behavior narration is highlighting positive behavior without giving it praise. For example, let’s say you ask your students to silently complete the Do Now at the beginning of class. You have set your expectation that once the bell rings, all students will be silently working on this activity. The bell rings, and half of your students are still chatting while the other half are getting to work, some of them halfheartedly, finishing conversations with neighbors. You notice, however, that Maya and Carlos are following all your expectations, so you narrate their behavior. “I see that Maya and Carlos are silently completing their Do Nows,” you say. Now, other students are aware that you are aware. You aren’t playing favorites, you’re just narrating what you see and choosing to highlight the students who are following expectations. I was amazed by how effective this technique was in my classroom, how behavior narration created a culture of positive awareness. Read more about how to do behavior narration here. A phone call home is one of the most singularly powerful classroom management tools in a teacher’s toolbox, either as a reward or a consequence. Whether you’re in a high performing private school or a struggling public school, the level of parental involvement is often taken for granted. 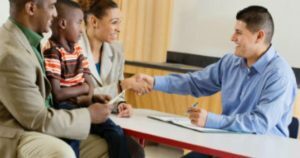 However, even the most involved parents want to know more about who their child’s teachers are and how they can help him or her succeed. Calling simply to introduce yourself or to say that you’re glad to have a student in your class can make a world of difference in that student’s engagement. When parents know you care, they care more about their student’s performance in your class, and the student cares more too. This contagious engagement works wonders. To leverage this in my class, throughout the week, I hand out raffle tickets to students who demonstrate hard work or engagement. Then, at the end of the week, I will often raffle off prizes, like candy, toys, or a positive phone call home. The phone call home is one of the most coveted prizes of them all. Classroom management doesn’t have to turn you into a drill sergeant. Although your students may sometimes appear outwardly rebellious, they crave strong leadership. We all do. Effective classroom management is simply about setting clear and rigorous expectations and incentivizing students to meet them. Do it consistently from the beginning of the year, and it will feel like second nature.